Are anxiety attacks holding you back? To learn to be calm and centred again? NLP and Hypnotherapy for panic attacks. Panic attacks are debilitating. The structure of most of them is fairly straightforward. This is not much consolation if you are having them, of course. These feelings of high anxiety are often, although not always, context related. In other words someone will experience panic attacks when in a shopping centre. They will have an anxiety attack on a train. They will panic in crowds. They will be highly anxious when alone. The list is endless. The thought patterns are often similar to those some would describe as phobic. This condition is sometimes described as panic disorder. Many people experience panic attacks just once or very infrequently. But they still find themselves in a constant state of dread. They are either remembering a particular time and place when they panicked, or imagining that it will happen again. This is called the fear of the fear. The state of excessively worrying that the situation is going to repeat itself is pre-anxiety. These pre-anxiety states are more common than full blown panic. Typically, what a person will do is vividly imagine having a panic attack. Perhaps they will remember having one or more of these attacks. They will talk or yell to themselves in a panicky internal tone. They will feel feelings they describe as ‘panic’. Then these things loop round and round. Occasionally, someone will not initially be consciously aware of this pattern. Sometimes, these attacks can result in fainting. What will you do to help to stop my panic attacks? Together with any medical treatment you are having, we may be able to help you. We will work with you both consciously by talking to you to find out what exactly is going on in your neurology. We work more unconsciously, with hypnosis to help to get you to change the patterns easily. We won’t be ‘counselling’ you. In our experience going over the past to discover the origin of the problem doesn’t, in and of itself, solve the problem, and often people spend months or even years having the same conversations with their therapist every week. Counselling has its place. That is certain. But you don’t need to understand where your problem comes from. You don’t need to come to terms with the problem by going over the past. There are better ways to get better. This is what we believe. It is not much fun when your imagination seems to control you. During the work, NLP techniques are used to help you change this ‘fear of the fear’ thought process. We work to help guide your thinking in more useful directions. This is a way of consciously training your imagination to be under your control – rather than the other way round!. Hypnosis techniques such as suggestion both direct and indirect, metaphor and are used to help you to re-pattern your thinking. We work to help you to recondition the response at a more unconscious level. Both approaches have been proven to be successful. When combined, the help can be powerful and rapid. How long will it take to help me stop my panic attacks? There is no easy answer to this. Some people have responded very quickly to the work and have been amazed by their recovery. The testimonials show this. Others take longer. There are so many different situations. Not everyone is the same. One thing is for sure though. We will help you as fast as we can. These can include hyperventilation. I this case this is too much oxygen caused by breathing too rapidly. This can lead to dizziness, tightness in the chest and shortness of breath. Panic almost invariably initiates an adrenal response which can cause sweating, feeling hot and disorientation. Other symptoms can include chest pains, heart palpitations, weakness, tiredness and numbness. Some people believe they are having a heart attack when they first have a panic attack, many feel frightened because they don’t know what is happening to them. By the time people contact us for help they have usually seen a doctor who has diagnosed panic or anxiety attacks. If you haven’t seen your GP about this please do so before emailing or telephoning us. Excellent brand new multi-track recording by Debbie Williams. Neuro linguistics and hypnotherapy for panic attacks. Hypnosis for panic attacks. 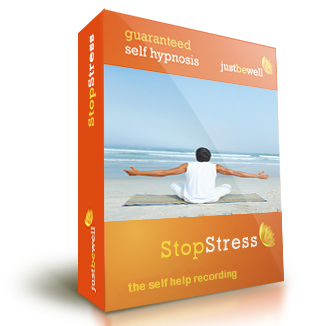 Excellent recording to help prevent anxiety attacks. Debbie will teach you to focus on solutions, which naturally will calm you eliminating stressful responses. For example the use of more empowering questions such as ‘What do I need to learn from this to move on?’ will enable you regain control. The aim is to help you develop a happier and more relaxed outlook.